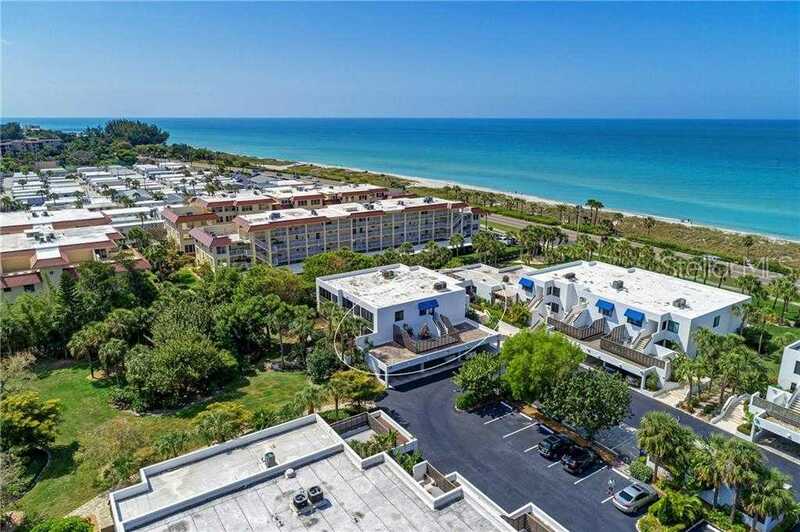 Bayport Beach & Tennis Club is a Sarasota School of Architecture designed community on 27 tropical acres w/gulf to bay access & deeded to 1200ft of pristine & private Longboat Key Beach! 136 units all have private decks & walk-out entrances. Beach chairs & umbrellas conveniently kept beach side for owners’ & guests’ use. Enjoy the Junior-Olympic heated pool, 4 har-tru tennis courts, a fitness center, fishing pier, kayak launch, & nature trails w/great wildlife watching & the clubhouse bustles w/social activities. Within minutes of: Publix, St Armand 8217;s Circle, downtown Sarasota, world-class theatre, dining, opera, ballet, symphony, comedy, art galleries, the Ringling Museum, Selby Gardens, the Van Wezel & more. Water enthusiasts can enjoy boating, fishing, paddle boarding and surfing to name a few! For Golf enthusiasts, Longboat Key offers championship waterfront courses among others. It’s no wonder Bayport is often called one of Longboat Key 8217;s hidden gems! This end unit w/extra windows and 2nd floor condo has 2b/2ba, updated with quartz kitchen counters, light kitchen cabinetry, neutral fresh paint throughout, 20 tile flooring, modern light fixtures, comes fully furnished, has huge private wooden deck off of the living room, allows for 1 pet up to 35lbs, has assigned 1-car covered parking, inside stacked laundry, private storage outside & great rental potential! Partial gulf view from the kitchen, 2nd bed and as you walk out of your front door! This unit also has a second balcony off of the kitchen! Please, send me more information on this property: MLS# A4432147 – $450,000 – 741 Bayport Way #741, Longboat Key, FL 34228. I would like to schedule a showing appointment for this property: MLS# A4432147 – $450,000 – 741 Bayport Way #741, Longboat Key, FL 34228.